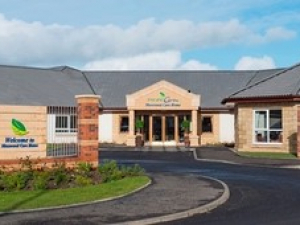 Mosswood Care Home has 71 ground floor private rooms, each tastefully decorated and with their own ensuite bathroom. All rooms have excellent outlooks with options for a Court Yard or Garden Room, with most providing access to their own outdoor space – a place to call your own and enjoy with family and other residents. In addition, Mosswood has a number of comfortable public areas, including spacious lounges, peaceful quiet rooms, a modern Cinema Room and excellent dining facilities.